Arnold Whiteside was born in Garstang on 6th November 1911. He played for Woodplumpton Juniors until joining Blackburn Rovers in 1932. Whiteside, a left-half, replaced the injured Wally Halsall in the 1933-34. He formed a good partnership with Bob Pryde. In 1936 Whiteside was featured in a set of 48 cigarette cards published by Carreras. On the card he was described as "a strong half-back who combines well in defence and attack... a clever schemer and relies on skilfull football rather than bustling tactics." 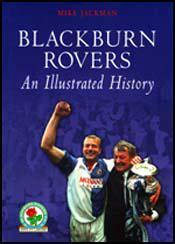 Unfortunately Blackburn Rovers was relegated in the 1935-36 season. After two seasons in the Second Division, Bob Crompton agreed to takeover again as manager. In his first season Blackburn won the Second Division championship. Whiteside's career was interrupted by the Second World War. He returned to Blackburn Rovers but the club was again relegated in the 1947-48 season. Whiteside left at the end of the season having played 221 games for the club. Arnold Whiteside died in 1994.